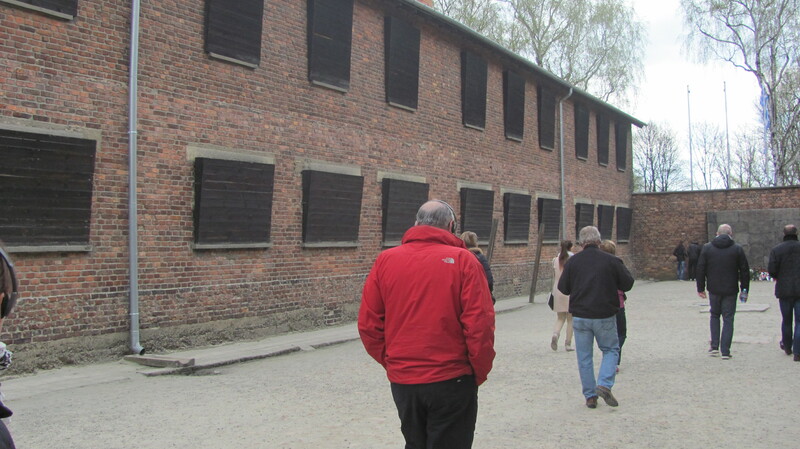 This firing wall is in a courtyard with all of the windows covered whether boarded up or bricked. 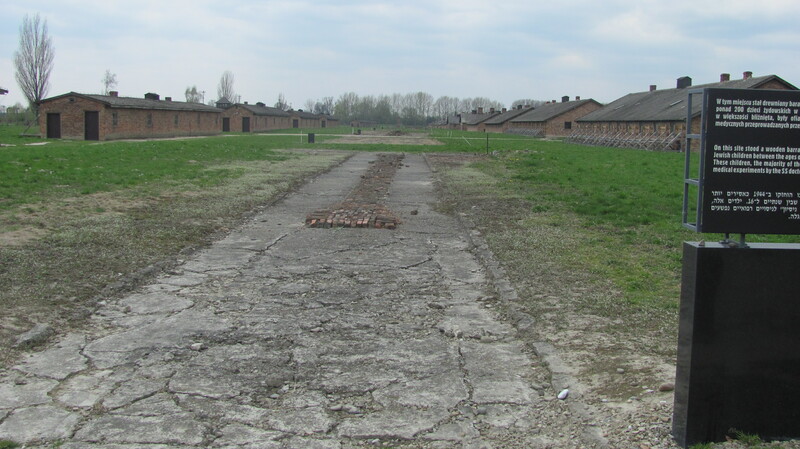 This way no one else in the camps could see what went on inside. 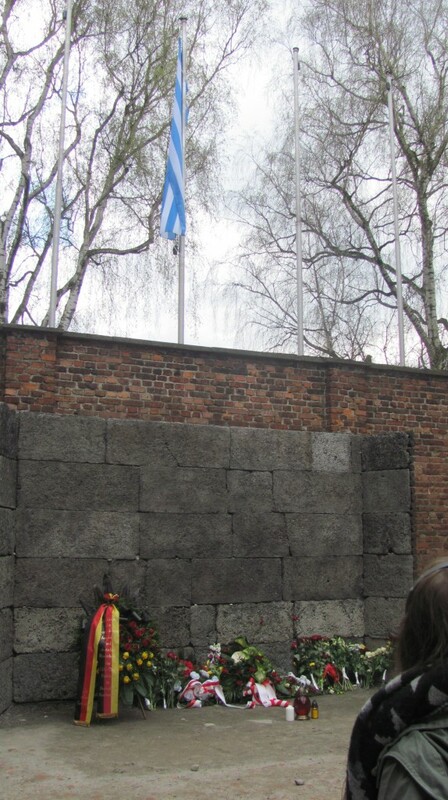 The flag above the wall today represents the stripes of the uniforms the prisoners wore. 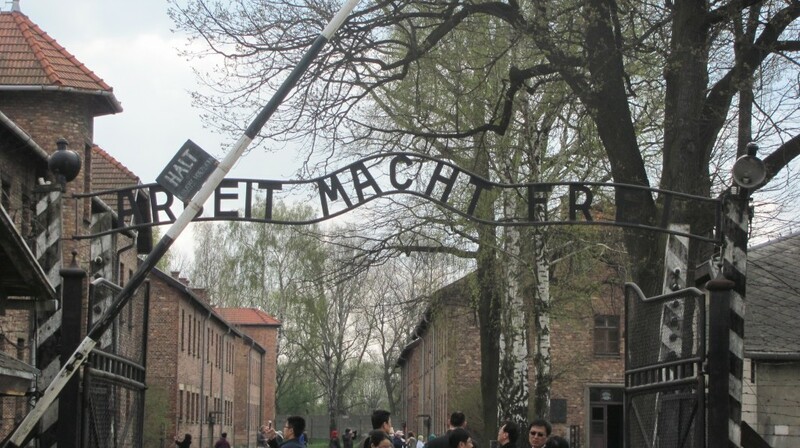 This is one man’s arrival photo. Photos such as these show how long the prisoners lived. 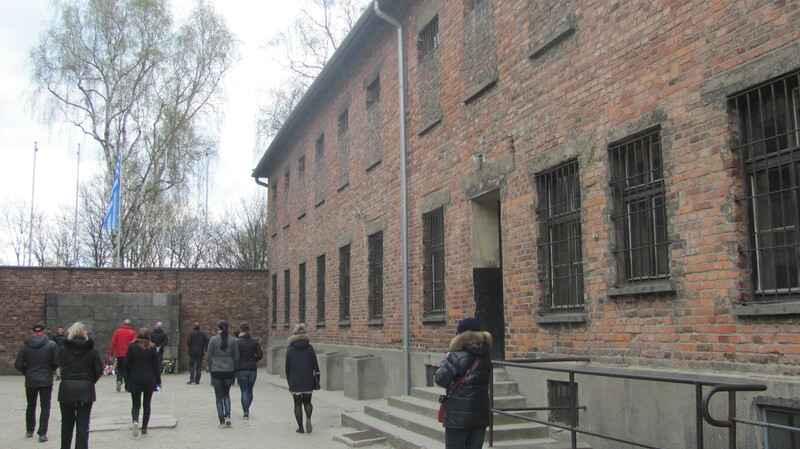 They lined either side of a long hallway from top to bottom. 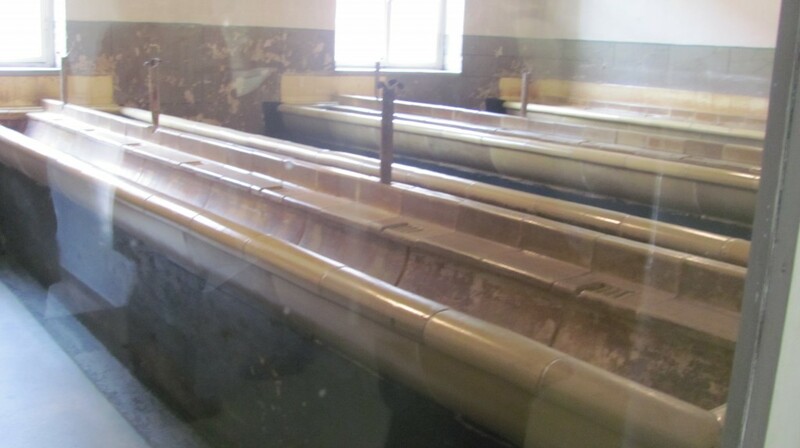 The prisoners were given 60 seconds to wash, but most just drank the water in order to survive. 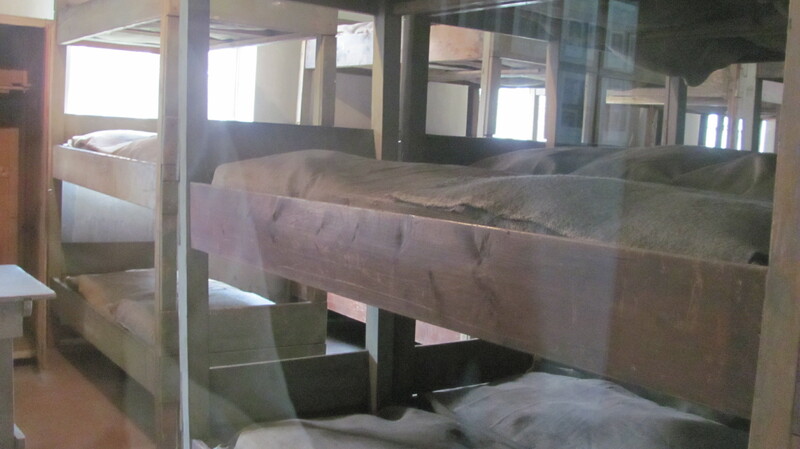 The bunks where prisoners were first processed. There were also rooms of just straw on the floor. 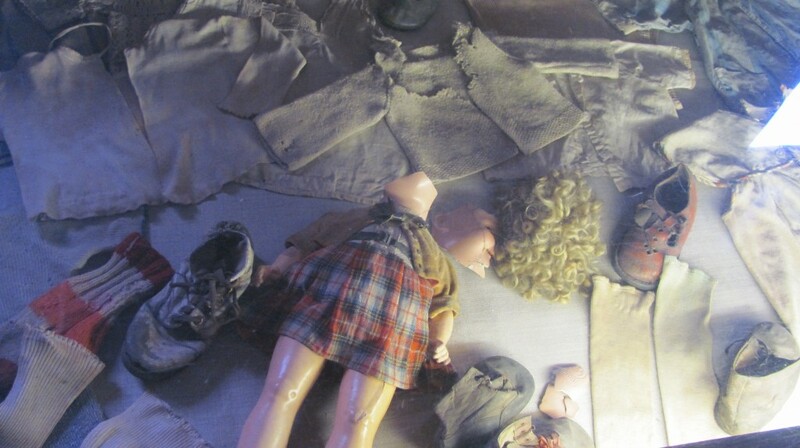 Baby Clothes gathered before their deaths. 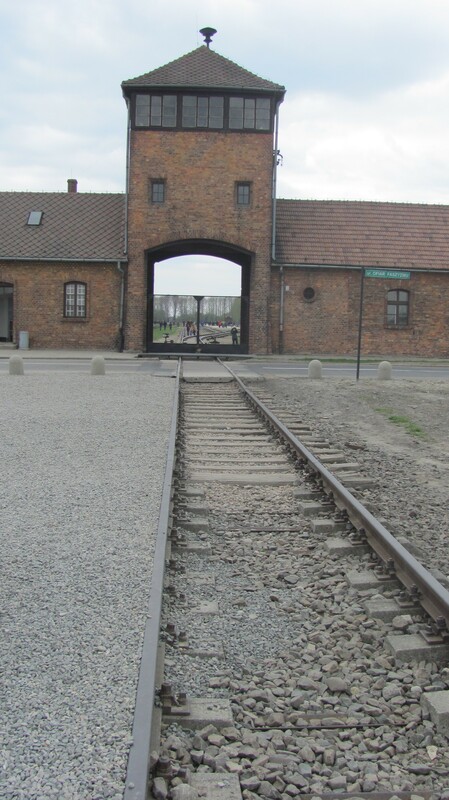 The Jews were told to bring the essentials they would need for a better life. 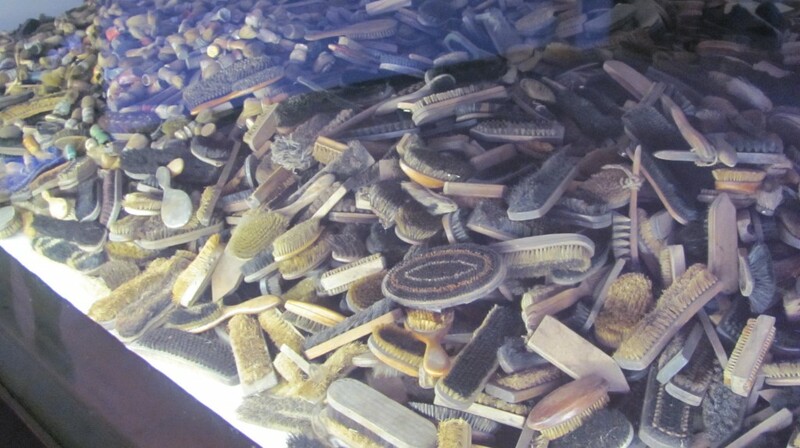 Women brought hair brushes and kitchen supplies, while men brought shoe polish and shaving supplies. 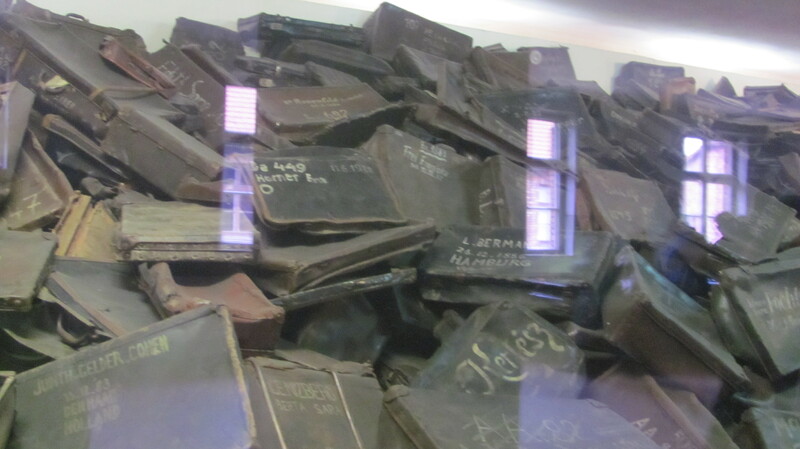 When they brought their belongings, their things were confiscated and they were loaded into trains headed to Auschwitz. I was able to walk inside this gas chamber. 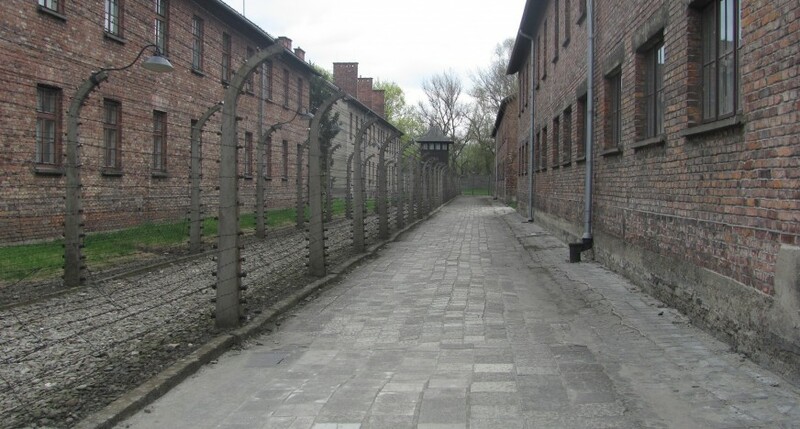 Wires lined the walls and ceilings where the gas was dispensed. 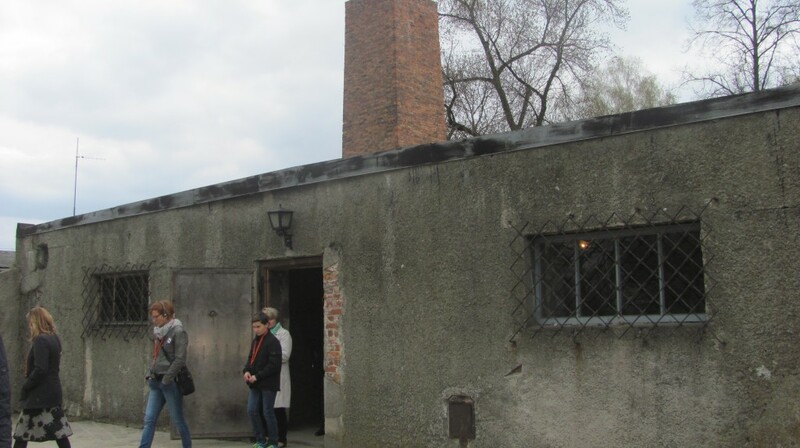 The next room over showed a machine that would push the bodies into the crematorium. 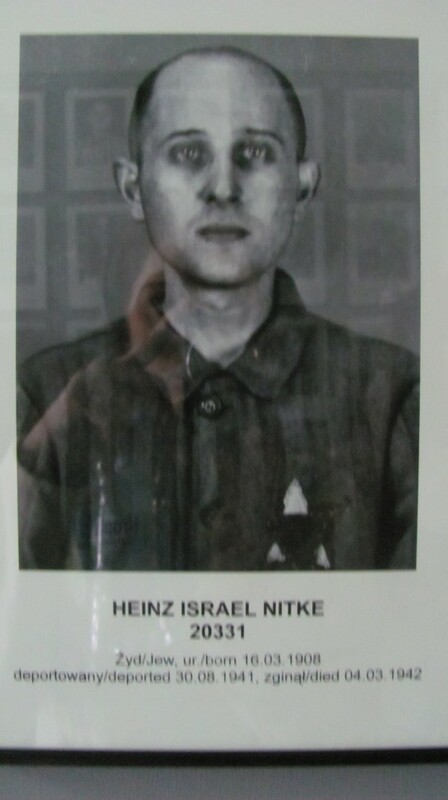 The Germans could kill thousands of Jews a day in this way. 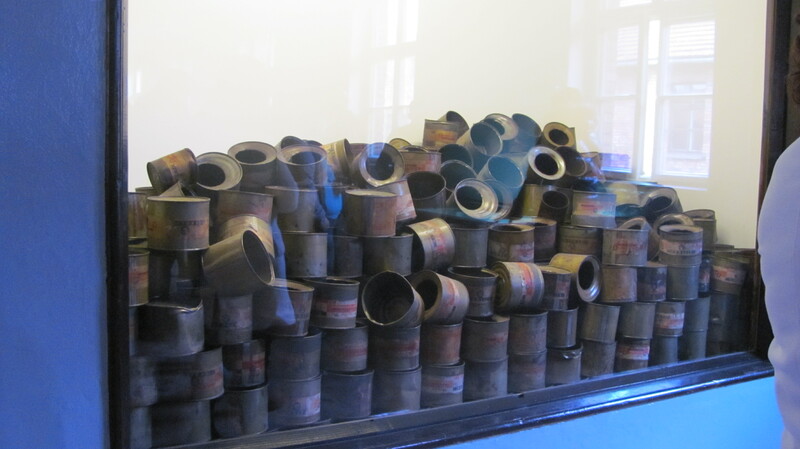 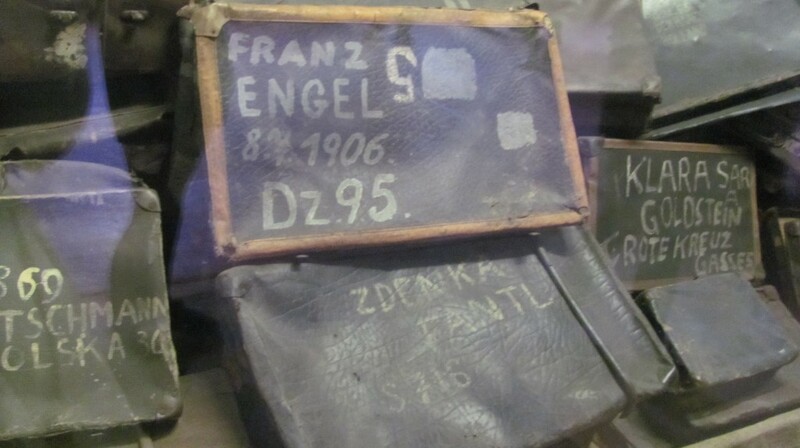 Gas cans used in the gas chambers. 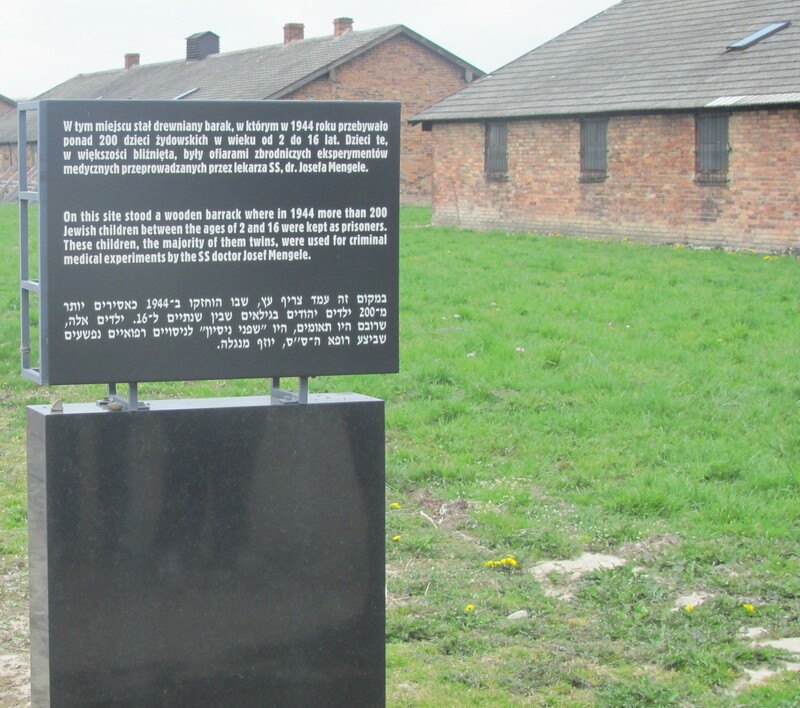 One woman was found dead when she arrived to Auschwitz. 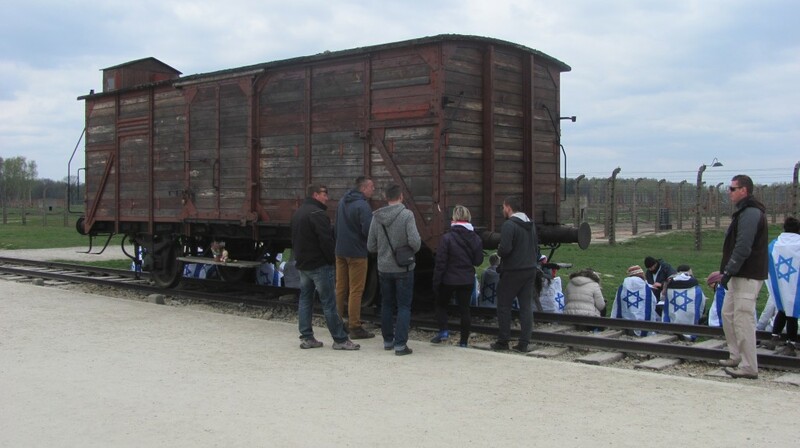 She had given birth on the train and both of their bodies were on the floor of the train. 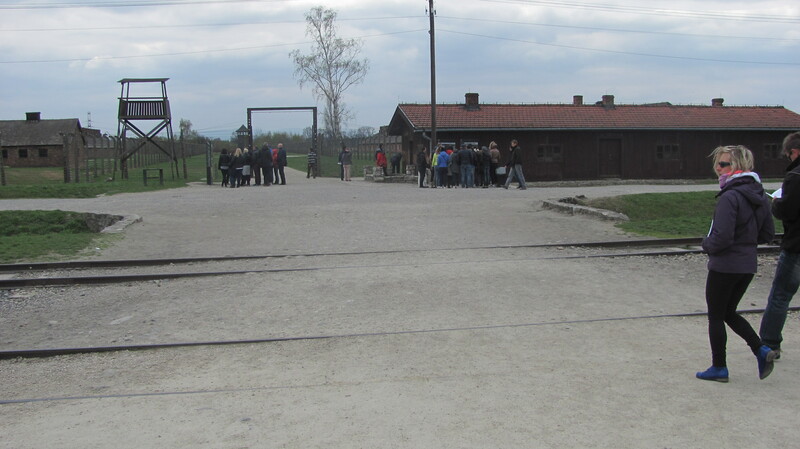 When the trains arrived the weak, old, pregnant women and children were told to line up to the left. The fit men and women were placed to the right. 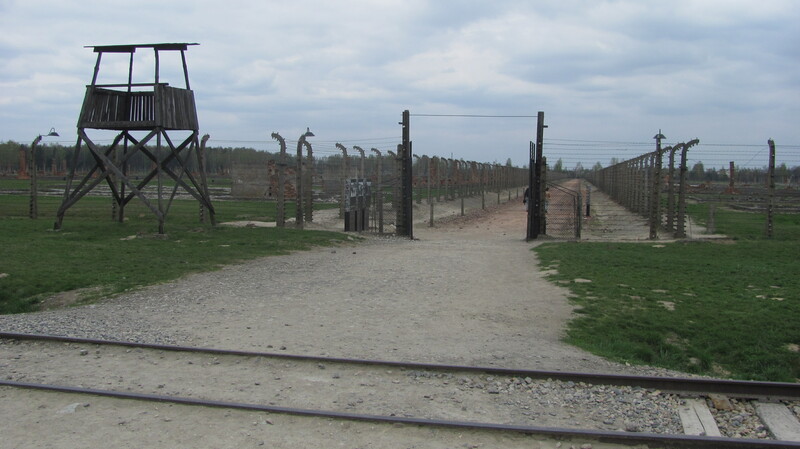 Those to the left were sent straight to the gas chambers. 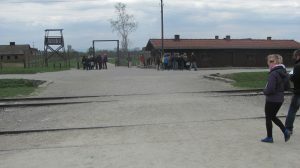 Those to the right were sent to be processed for the work camp. 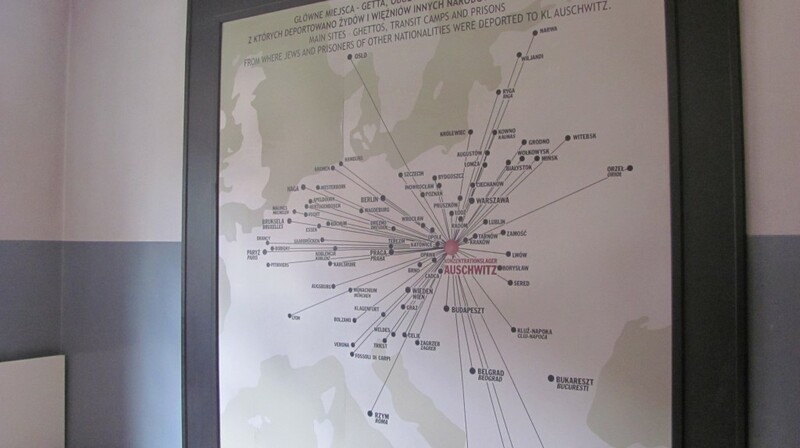 All of the areas Jews were taken from and then brought to Auschwitz I or II.